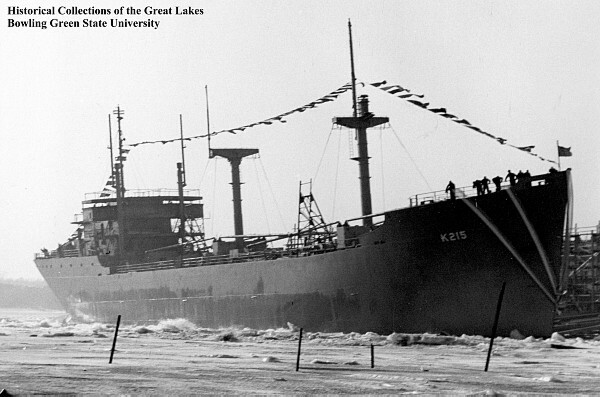 Type and Characteristics - Diesel-engined freighter, Alamosa-class, built on Maritime Commission C1-M-AV1 type hull, ex-USS Tipton, WAK-185/AKA-215/MC-2169, built by Leatham D. Smith Shipbuilding Company, Sturgeon Bay, WI at cost of $2,100,000, launched 13 March 1945, commissioned as mercantile 10 April 1945, USN 9 October 1945, USCG 4 March 1946, 5,650 tons displacement, 338ft long x 50ft beam x 17ft, draft 10.6kts, no armament, 112 crew. 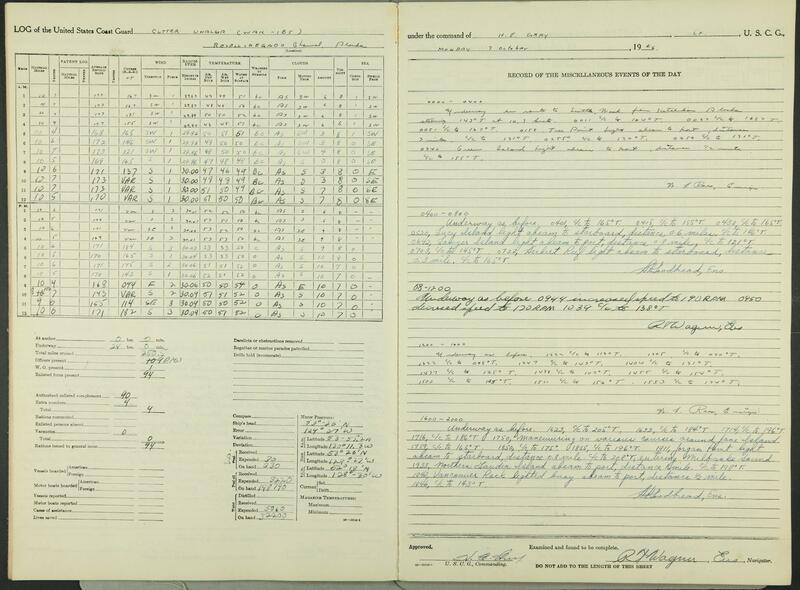 Log Period and Areas of Service: 1946-50, Alaskan waters. 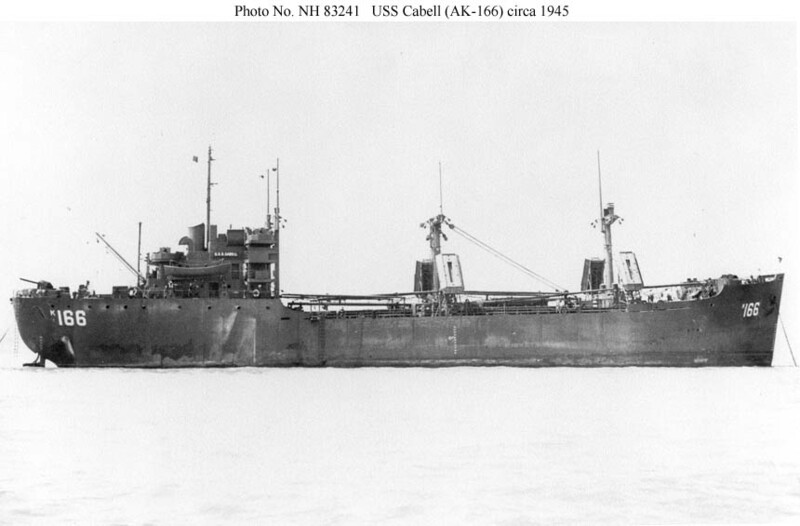 1945 - Upon commissioning, the cargo ship USS Tipton was transferred to the custody of the Coast Guard for maintenance and operation and was manned by a Coast Guard crew, Lt. Comdr. H. E. Gray, USCGR, in command. 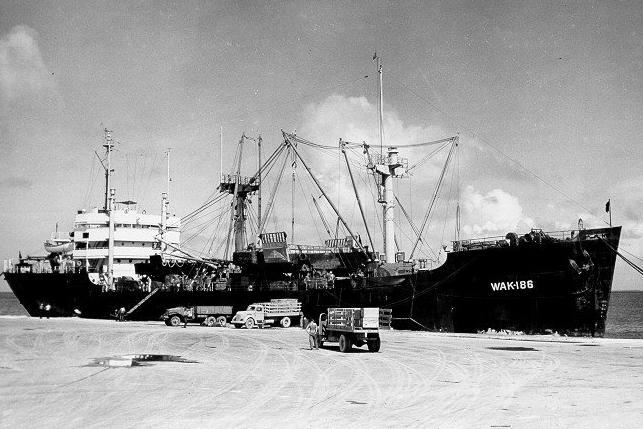 4 March 1946 - Tipton was decommissioned and permanently transferred to the Coast Guard, commissioned into the Coast Guard as USCGC Unalga. She was struck from the Navy list on 20 March 1946. 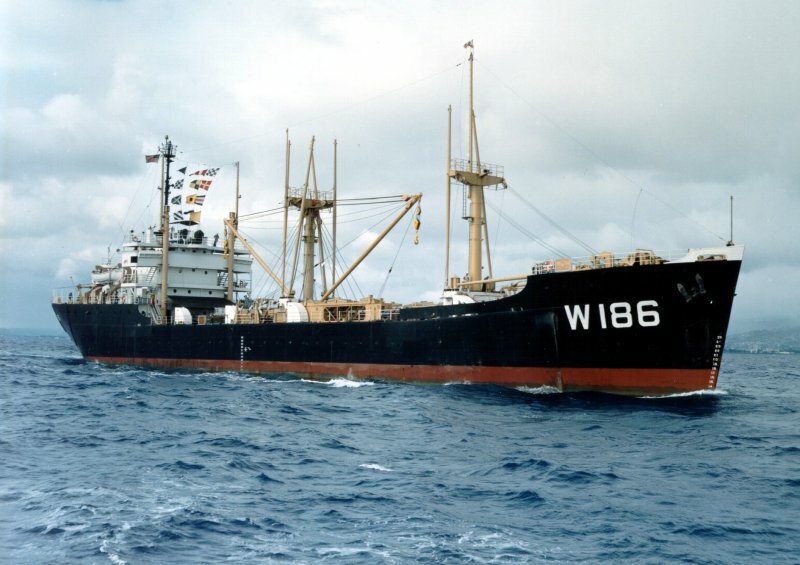 1946 - Acquired from USN, converted to supply freighter at Coast Guard Yard to assist with planned construction of LORAN (LOng RAnge Navigation) stations worldwide. Stationed at Seattle, WA; mainly engaged in building Alaskan stations. 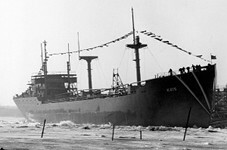 28 November 1948 - Assisted MV Kasilof. Fate: Decommissioned 19 January 1950, Reserve Fleet, Olympia, Washington. Finally scrapped 1978.